Easy-to-use calculator for area calculations. Is there a better alternative to Basic Areas Formulas? 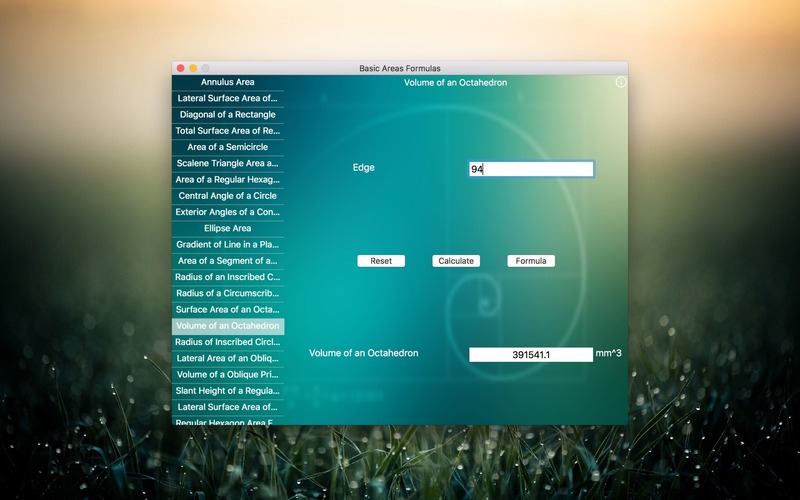 Is Basic Areas Formulas really the best app in Mathematics category? Will Basic Areas Formulas work good on macOS 10.13.4? Basic Areas Formulas comprises a selection of calculators that will simplify calculations which have given you headaches so far. 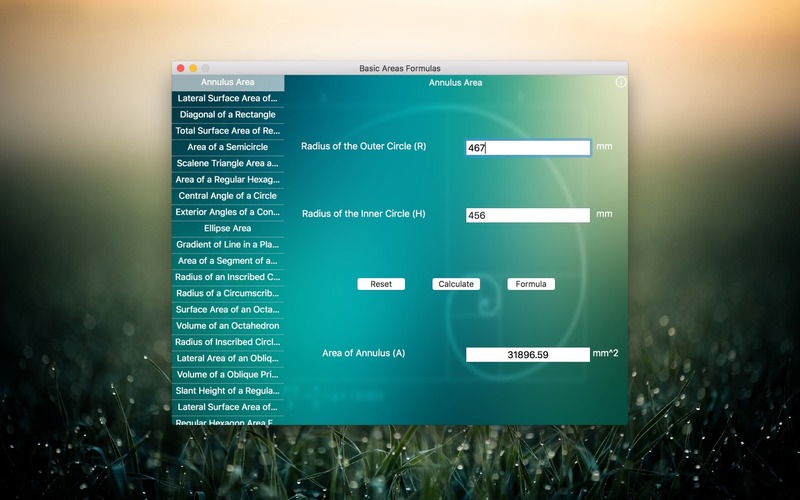 Complex calculations, such as Annulus Area, Diagonal of a Rectangle and others listed below will be handled easily with this app. Basic Areas Formulas needs a review. Be the first to review this app and get the discussion started! Basic Areas Formulas needs a rating. Be the first to rate this app and get the discussion started! 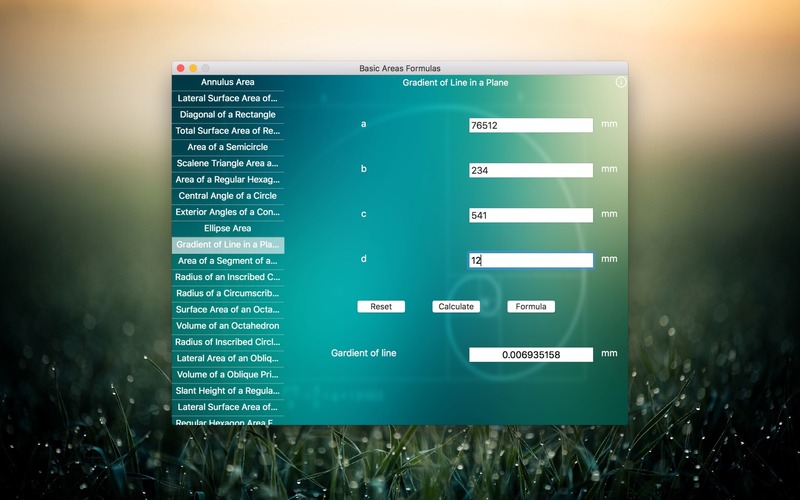 If you have any question please contact us: veghferencrobert@yahoo.com All information contained in and produced by the Basic Areas Formulas app is provided for educational purposes only.